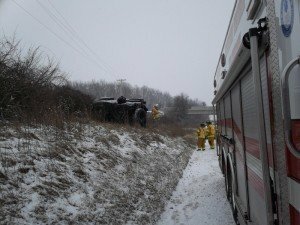 Tuesday, January 6, 2015	At 08:35 the Shrewsbury Volunteer Fire Co. was dispatched to assist Loganville Fire Co. with an accident on Interstate 83 northbound at milemarker 9. 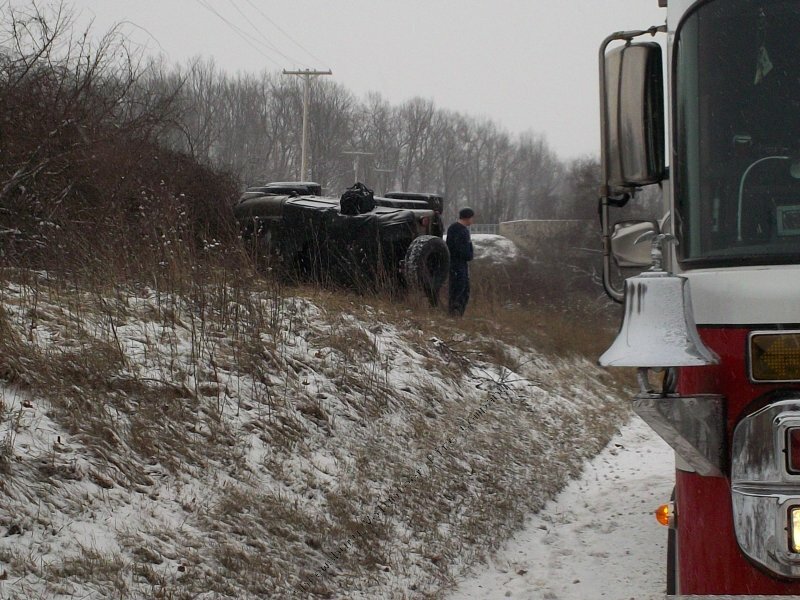 The vehicle is reported overturned and off the roadway. Rescue 61 responded and on arrival found a single jeep up an embankment overturned. 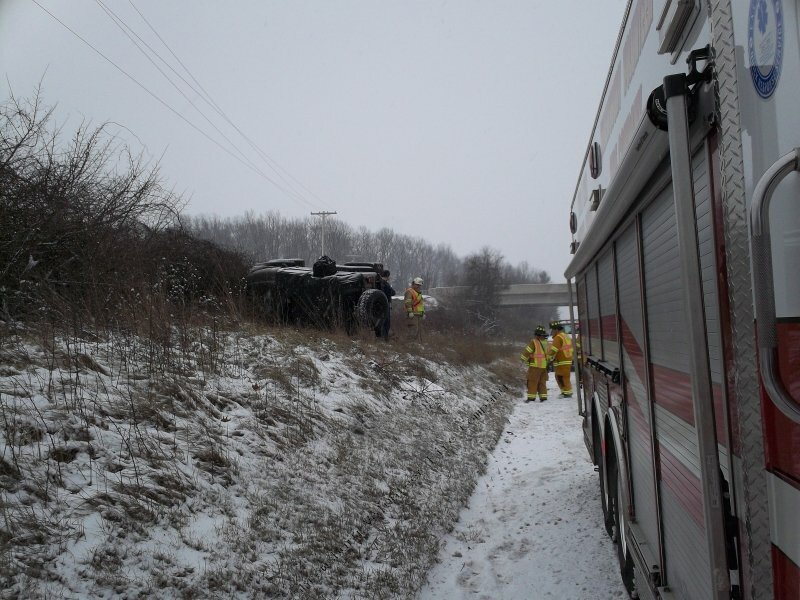 The driver was out of the vehicle and uninjured. Loganville Fire Co. equipment arrived and after checking the incident scene released Rescue 61. Interstate 83 remains snow covered and slippery in spots. Motorists are urged to take their time driving to their destinations.